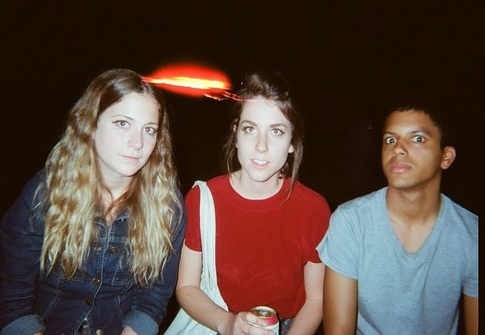 One of the newer bands you might catch around town, if you’re lucky, is Feral Beat. They’ve been slumming around for a couple months here and there and we’re always pretty stoked when we get the chance to catch one of their shows. You probably recognize a couple of those faces up there [on the left representing Heavy Cream, on the right representing Useless Eaters, and in the middle representing loud girls everywhere] They’re slated to have a debut single out sometime in the near future from Tic Tac Totally and maybe more after that. 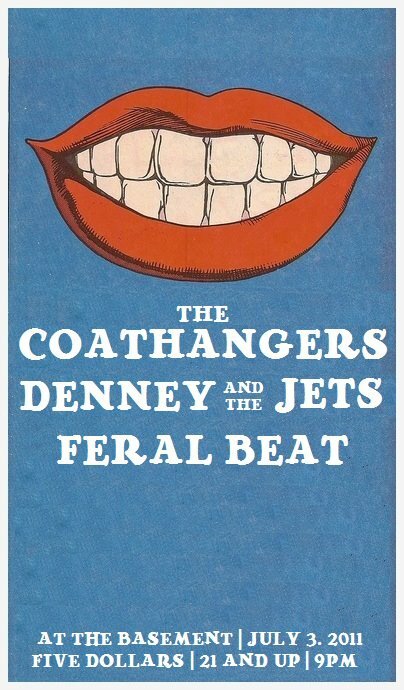 This weekend they’ll be gracing The Basement with Atlanta’s Coathangers and everyone’s favorite Denney & The Jets [check the flyer down there] Apparently the Basement boys want to make it a real party and are gonna be grilling dogs and getting wiggly with some jams provided by… us! Check out a Feral Beat track below and we’ll see you Sunday.